Membership in the New Hampshire Home Builders Association (NHHBA) is not just about building and not just about New Hampshire. Your membership automatically gives you access to the benefits of belonging to three distinct organizations that will help you achieve your business dreams. That powerful three-legged membership includes the NHHBA (State Association), the NAHB (National Association of Home Builders) and one of the six Local Home Builder Associations around the State. And, the membership is not just for builders. Membership connects you with all types of businesses and resources that are involved in home ownership, building, remodeling, maintenance, and general living in one’s home, both on a state and national level. Your powerful advocate at the state and national government. Provides you with a recognized and trusted brand. NHHBA has the resources to answer your questions and save money. Benefits range from materials and financing for your building or renovation projects to discounts on insurance, vehicles, fuels and even the steaks you throw on the barbecue. The NHHBA is the largest organization of interconnected businesses in the State of New Hampshire. Just the networking opportunities alone will pay you dividends. The cost of membership is easily recovered each year, and the benefits of membership are invaluable to both growing and established businesses alike. Many members have saved thousands of dollars using the legal resources of the NAHB or simply by calling the NHHBA. Builders are the heart and soul of the association. Builder members are directly involved in building and remodeling homes. They include small-volume builders, production builders, light commercial builders, and remodelers. Builders join NAHB though their local home builders association. Associate members provide products or services to home builders. They sell lumber, windows, appliances, etc. or offer services such as mortgage finance. Most Associate members join NHHBA through their local home builders association. Large national suppliers join NAHB directly. 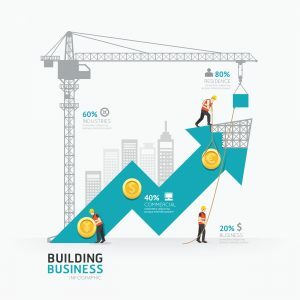 The Affiliate member category was designed to reach out to the employees of Builder and Associate members, enabling more industry professionals to reap the rewards of NHHBA membership, at a fraction of the cost of a full membership. Student members study building-related subjects at their high school, vocational school, technical school, community college, or university. Students join NAHB by becoming members of their student chapter.